La Sportiva engineered the Pyramid GTX hiking boot as a jack of all trades. It aimed to build a breathable, durable boot with enough stability to support moderate loads. 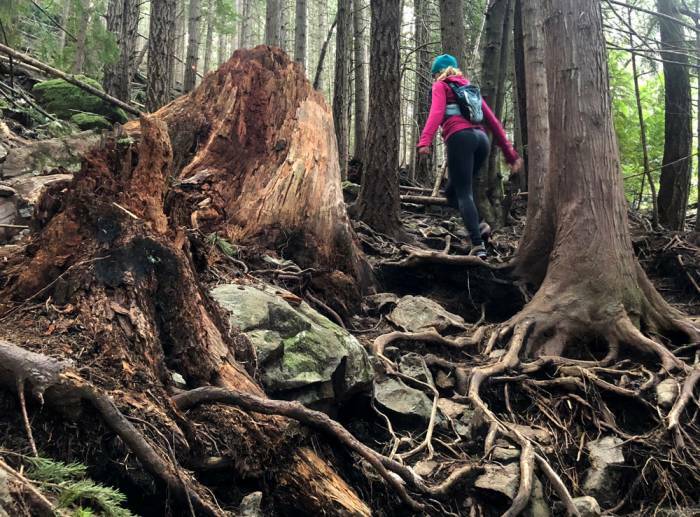 If you’ve ever hiked in the Pacific Northwest, you know the weather can be just as unpredictable as the terrain. It’s easy enough to layer and adjust clothing for fickle weather. 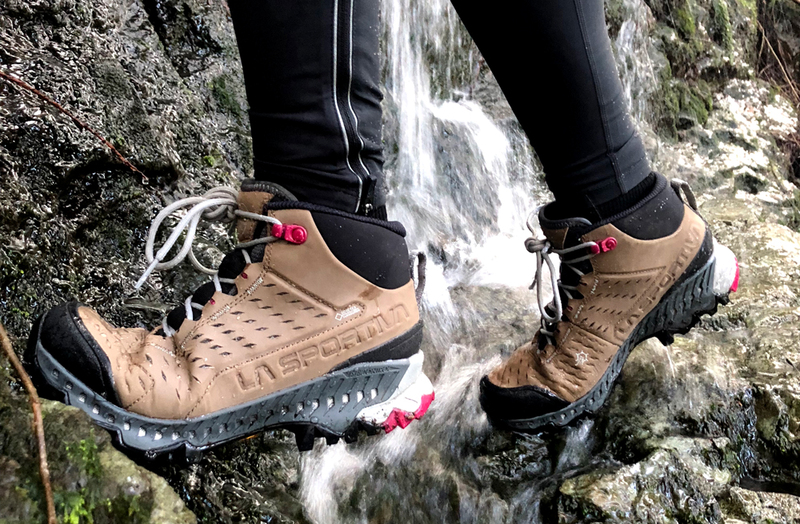 But it’s harder to find a functional hiking boot that’s nimble on hardpacked trails, stable charging down scree, and comfortable navigating slick, wet rocks and roots. The Pyramid GTX hiking boot is La Sportiva’s solution. It took the combined wisdom of mountain running, approach, and mountaineering footwear designers to create a nimble, waterproof, breathable, mid-cut hiking boot capable of meeting the most diverse climate conditions. There’s a clear trade-off when you use waterproof boots. 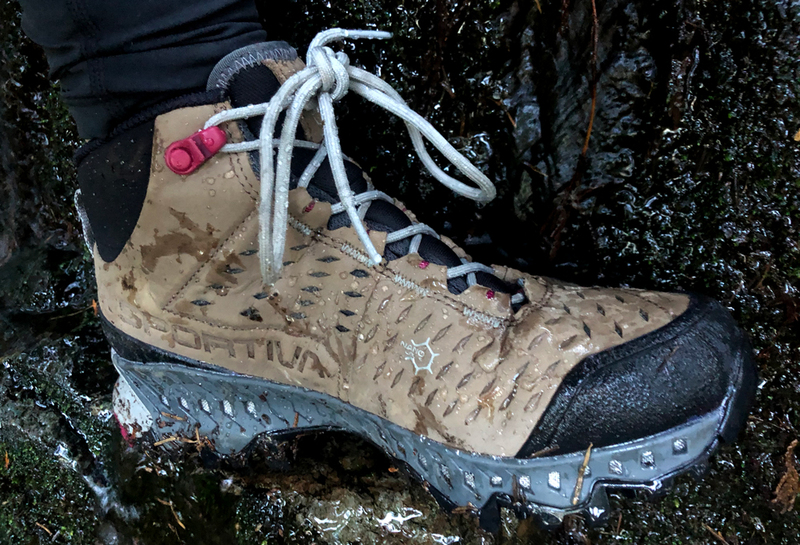 You protect your feet from water on the outside, but with prolonged use or warmer conditions, your feet swelter and your boots get soggy from the inside. GORE-TEX engineered Surround Technology for better breathability while keeping your feet dry from the elements. In the Pyramid GTX, La Sportiva leverages this to serve hikers with the very best of existing technology. The smooth Nubuck leather upper on the Pyramid GTX has a classic hiking boot style. For generations, leather proved a hardy and durable material. What sets this upper apart is the special Nano Cell Air Mesh. The material purportedly remains waterproof while the perforated ventilation channels help increase airflow and breathability. It gives hot, moist air a place to escape. The mono-burr nylon protective mesh prevents grit from getting into and blocking the ventilation channels. In the midsole and footbed, the GORE-TEX Surround works together with Nano Cell for increased breathability, according to the brand. The 360-degree-breathable sole allows air to circulate beneath the GORE-TEX bootie insert instead of being trapped underfoot. In short, the boots should remain waterproof from the outside while helping to prevent sweaty, wet feet on the inside. 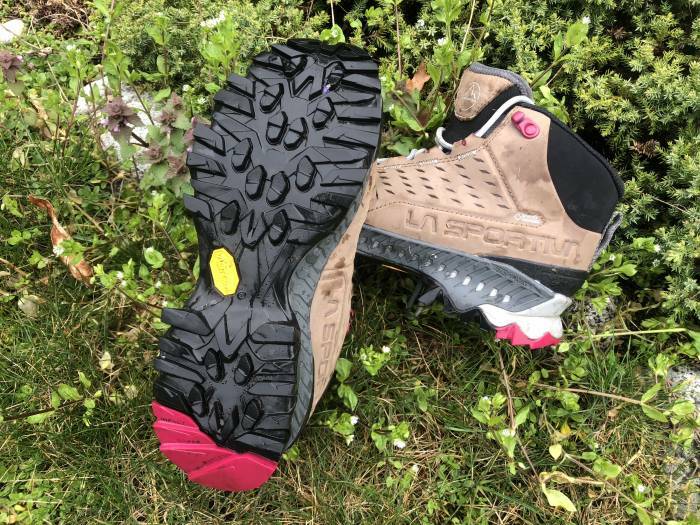 The sole has a grippy, rugged Vibram XS Trek outsole compound coupled with La Sportiva’s Stability Control Guard Technology. This anti-torsion stabilization system integrates the ventilation channels of the GORE-TEX Surround technology. The sole also boasts the brand’s Impact Brake System (IBS). According to La Sportiva, “IBS uses angled, opposing lugs to increase traction by 20 percent and reduce impact forces by 20 percent over normal lugged soles.” The combination should result in the trifecta of stability, durability, and traction. All of this together provides a lightweight (16.5-ounce), mid-cut boot engineered for stability, comfort, and protection. This all-around performer should hit the marks for waterproofing and breathability. If you’re in the market for a hardy, lightweight hiking boot, the Pyramid GTX may be the perfect boot for you. This article is sponsored by La Sportiva. Check out the brand’s new Pyramid GTX hiking boots here.